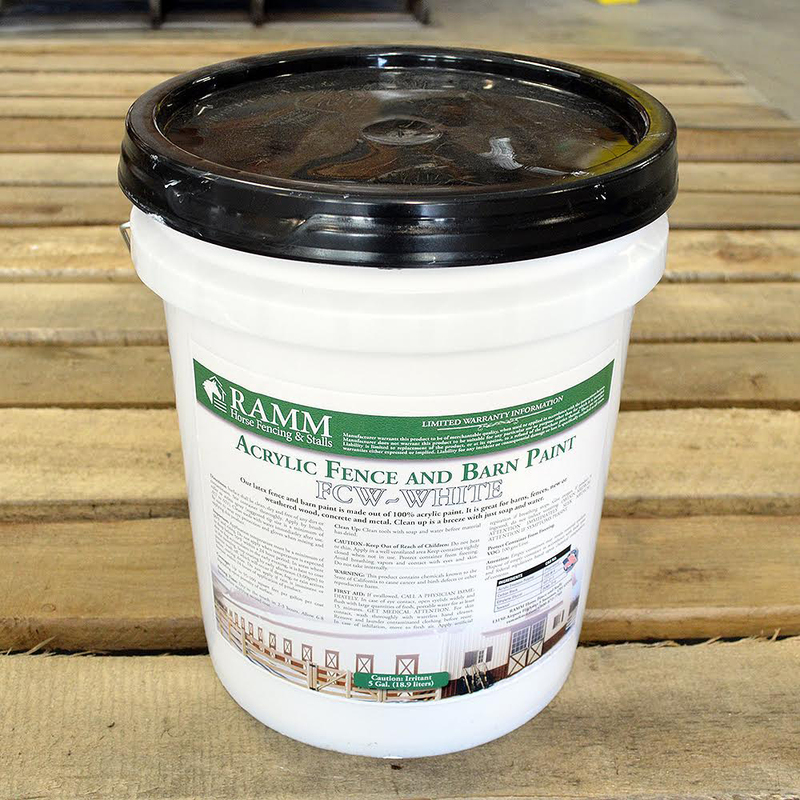 Our Horse Fence Paint is made especially for RAMM to ensure long life and high quality! It will not fade or peel. 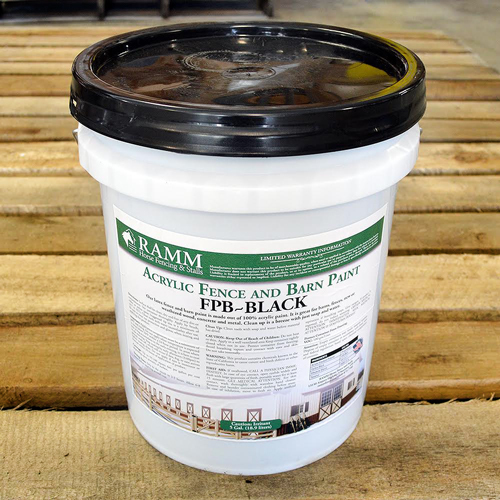 It paints approximately 50 posts per bucket and is lead-free. It resists mildew and corrosion and has easy water cleanup. 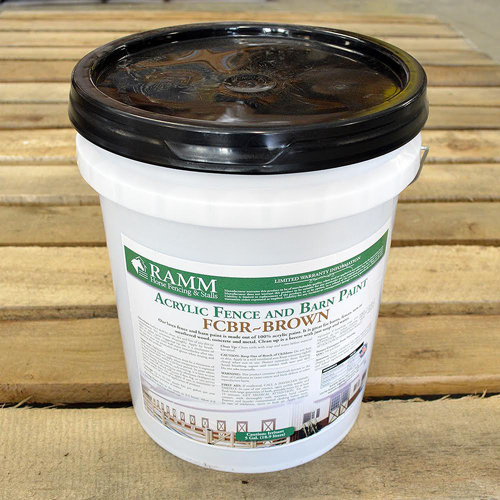 Our high-quality paint can be sprayed or brushed on posts or barns and it produces a flexible coating ideal for board fencing. Having the perfect paint will showcase the beauty of your fencing and it will allow for easy maintenance over time. You might find neighbors and visitors frequently commenting on how fantastic your fence looks!